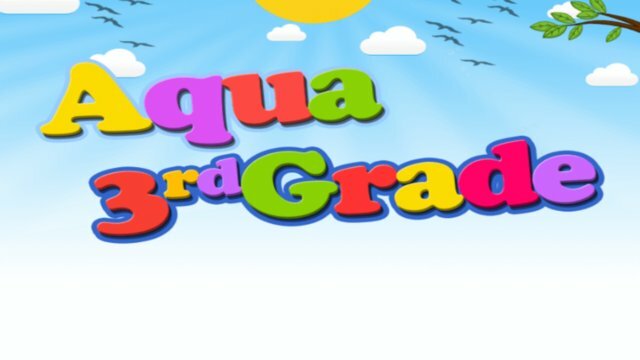 ++ Aqua Third Grade is an educational app which teaches Four different age appropriate subjects: sight words, Multiplication, Division, Fast Multiplication,Fast Division,and spelling. Play different difficulty levels. ++ Accompanied by a friendly voice guidance, children are encouraged to play and learn at their own pace. ++ Multiple play modes allow even the youngest mind to learn and explore with a basic shape-fitting mode. 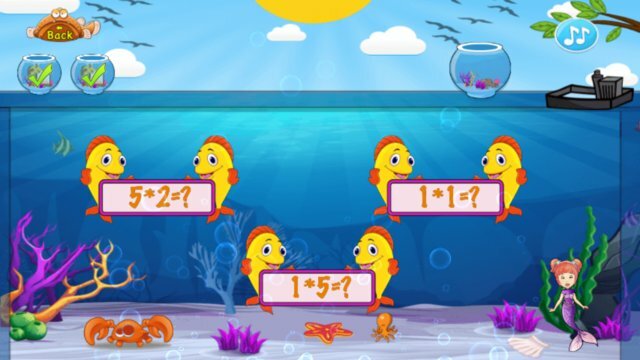 ++ Aqua Third Grade keeps children engaged with a rather unique reward system where children earn a coin for every seven correct answers! ++ Child-friendly interface specifically designed for small fingers. ++ Very Helpful voice guidance. ++ Beautifully illustrated original cartoons. ++ Teacher Mimi speaks in American-English. ++ Achievement screen encourages and motivates learning by showing progress for each topic. ++ Track learning information for up to 40 students without any Additional purchases. ++ Select which subjects are displayed for each child. ++ Clear and pleasant voice guide spoken by native speakers. ++ Count in order of smallest to largest, or by random. ++ Unique progress tracker for parents. ++ Recommended learning path personalized for your child. ++ Great tool for teaching phonics one step at a time.